What a clever little trick, eh? 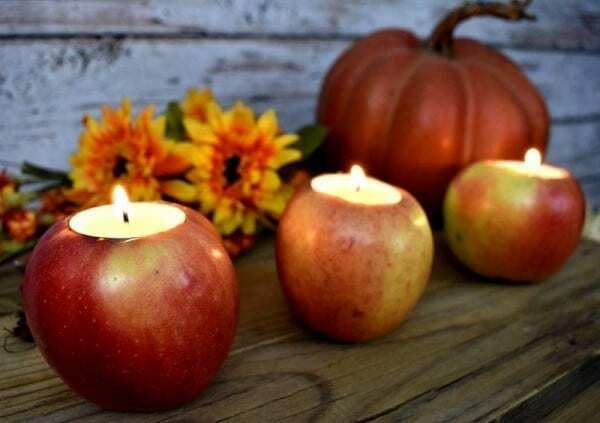 These colorful apples candles are festive and very inexpensive to make! The best part is that they actually last for a few weeks. Just change out the candle for a new one when needed. 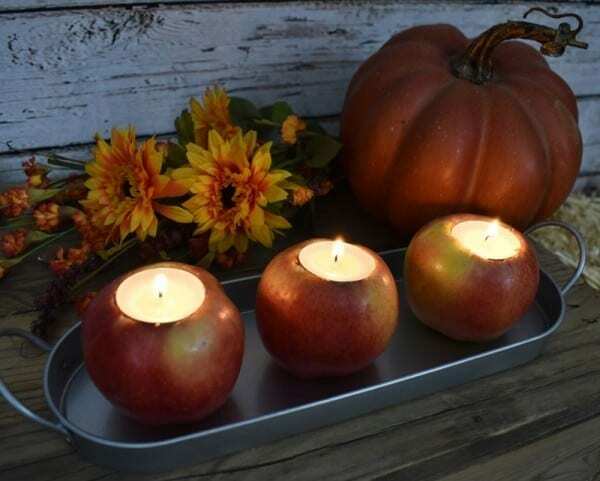 Set them on the dinner table as a holiday centerpiece or place them throughout the house for an elegant ambiance. You will not find a faster, simpler DIY than these! 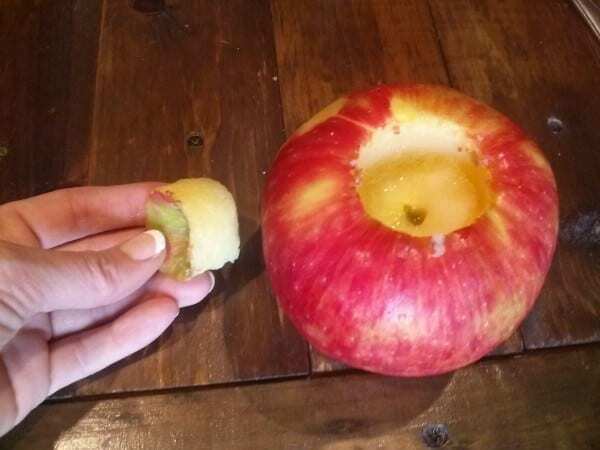 Hole saw -the same circumference as your candles (if you don’t have one just use a spoon). 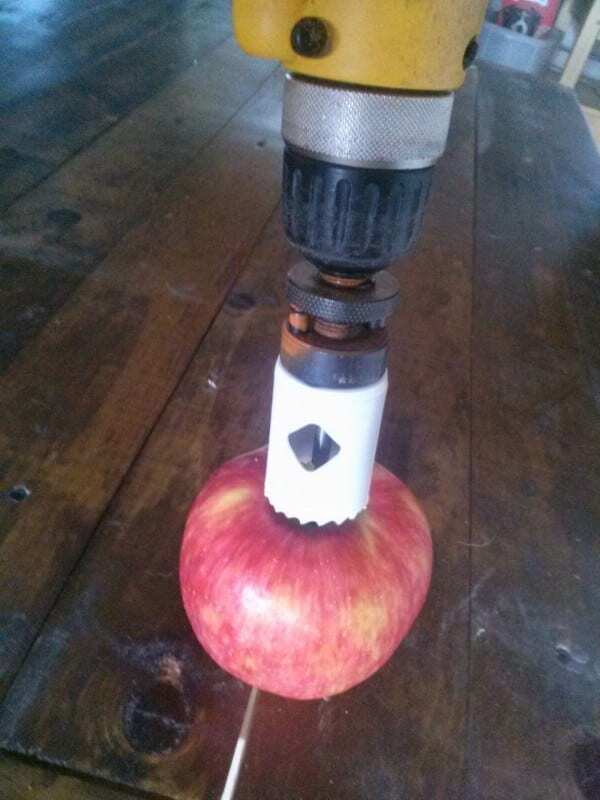 I used a 40 mm hole saw when I made mine. 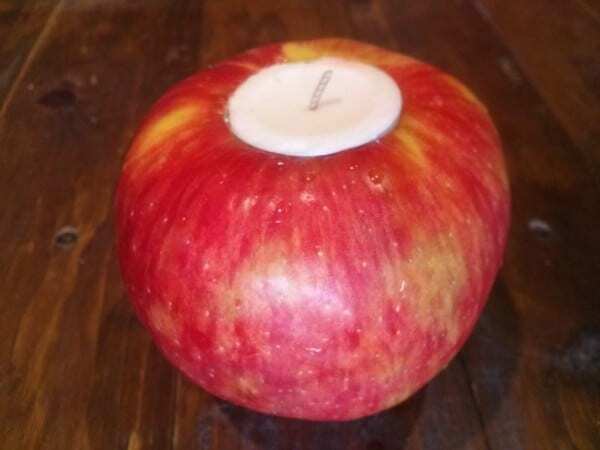 To make a perfect little hole the same depth as your tea lights, use a hole saw bit and drill out the candle top. 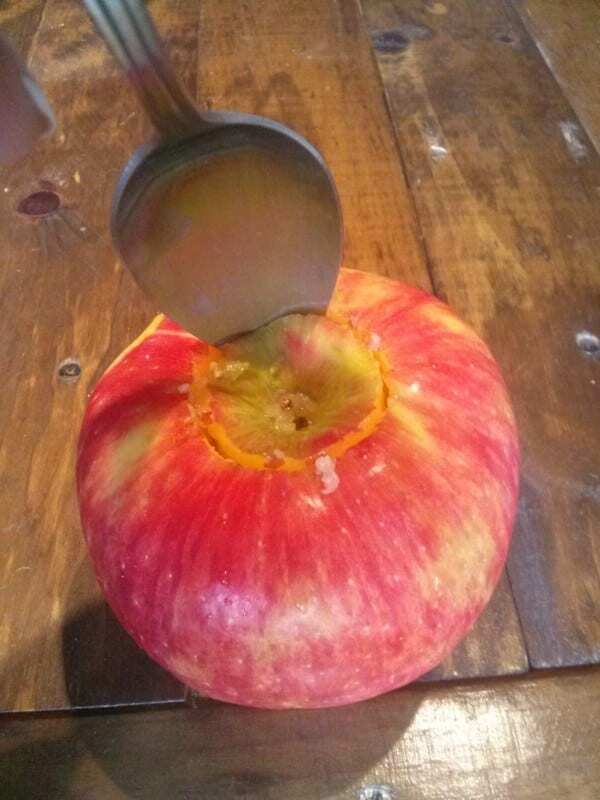 Next, use a spoon to pry up and pop out the hole you just made. That was easy! You now have a perfect sized hole for your candle! Last, place the candle into the hole. Now just light ’em up and watch ’em sparkle! Thanks for letting me share them on your site!